"My dear we embrace you strongly and we are as always united with you; I know you are full of God's spirit and He will never abandon us, Gerardito is protected by Him and will quickly be released. Your uncle, cousins and I are in continuous prayer, we love you." This article was posted in Borderland Beat mainpage on March 26, 2011. In Coahuila we were hearing the word being passed from municipality to municipality, about a large scale Zeta massacre in several towns of “The Five Springs”, (Los Cinco Manantiales) including Allende. Myself, and two others of my staff were driving from Monterrey, via Saltillo, on our way to Acuna, travelling on the 57 hwy, when we saw a massive amount of smoke, and encountered roadblocks. We could not advance in a way that was safe, so we elected to turn back around. We called Acuna, Piedras Negras, and Rosita, trying to get information, but it wasn’t until the following day was when the word spread about Zetas killing traitor Zetas, or a “settling of scores” in their homes and businesses, demolishing their homes, and killing any innocents that were in the way. Those needing to leave outbound from cities like Acuna, knew that the trip was a treacherous one, and in Coahuila it is impossible to assure good from bad, when encountering strangers, even those in uniform. At the time what little information was available, was accessed through social media or word of mouth. Coahuila was ruled at that time, by Governor Humberto Moreira, allegedly Zetas greatest governmental ally, who allowed Zetas to make the state their home base, and assuring the media published and reported only news deemed “permitted”. The following article was written and posted by BB reporter Gerardo, in my opinion BB’s best ever reporter. It was posted early on when information was minimal, and much of the information came from eye witnesses, people on the ground. "We shall not tire, Gerardito is ours also and we will continue our prayers, WE LOVE YOU"
These, and millions like them, are the messages of support and prayer being sent to the families of Mexico whose Faith and strength are being severely tested by the disappearances of loved ones. It is an even worse tragedy when the victims are innocent of any crime or wrongdoing, whose only mistake was, for example, being at the wrong place at the wrong time. There are no ransom demands and usually no communications from the abductors. Sometimes the pleas for release and the Faith of friends and family of these innocent victims are answered. Often, however, there is only a permanent silence. 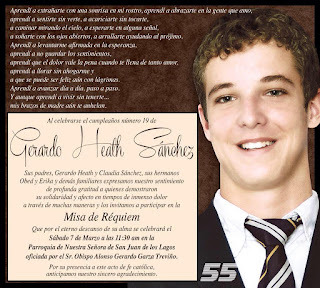 In this case the messages above are meant for the mother of Gerardo Heath Sanchez, an innocent 14 year old teenager that was caught up in the dozens of abductions perpetrated by groups of gunmen that occurred in northern Coahuila a week ago on the night of Friday, March 18th. 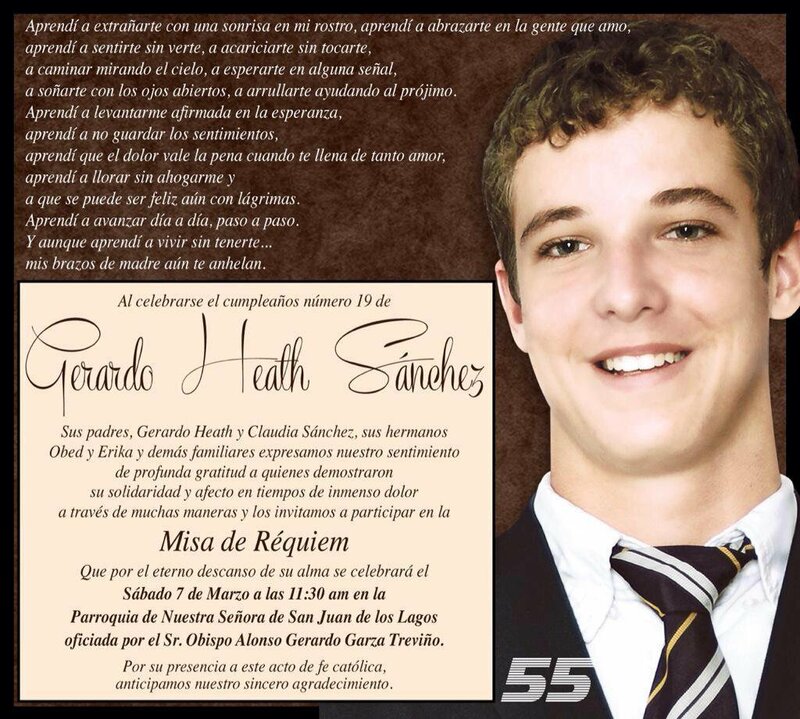 We all hope and pray that the parties responsible for the disappearance of Gerardito and the other innocent victims taken in Coahuila, and indeed throughout Mexico, show mercy and spare them, for they surely are aware that these victims pose no threat. 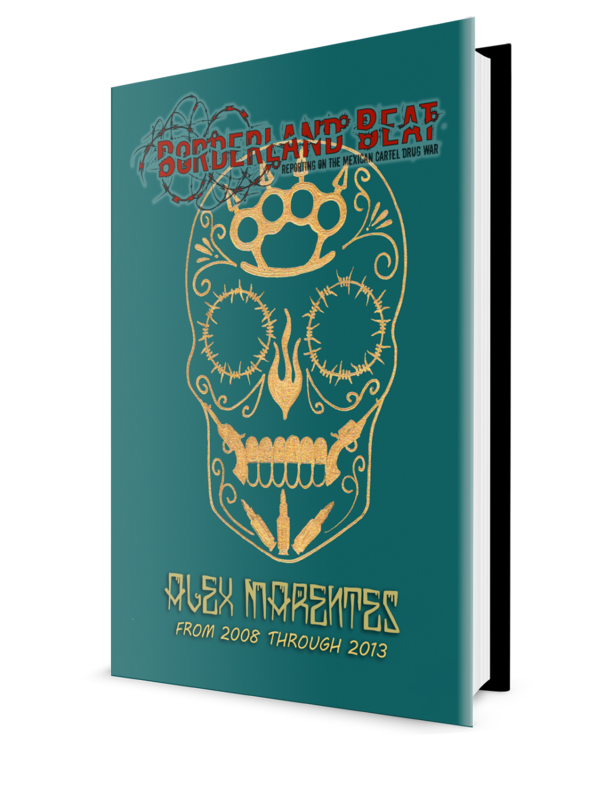 Particularly hard hit by this wave of violence was the border city of Piedras Negras and the town of Allende. What has been particularly horrifying about this wave of violence is that, according to local residents, this time many of the abducted appear to be completely innocent, with no connection to organized crime and this time also whole families of those who appear to be victims of a “settling of accounts” were taken. What seems certain is that there is no longer any respect for innocent bystanders and civilians not involved in any way with organized crime. An example of this is the threat issued by Celso Martinez “el Celso”, a top Zeta in the Piedras Negras plaza, to free a relative apprehended by federal police in Piedras Negras. According to a source in Piedras, the relative was freed after “Celso” threatened grenade attacks against the homes of innocent residents of the city. 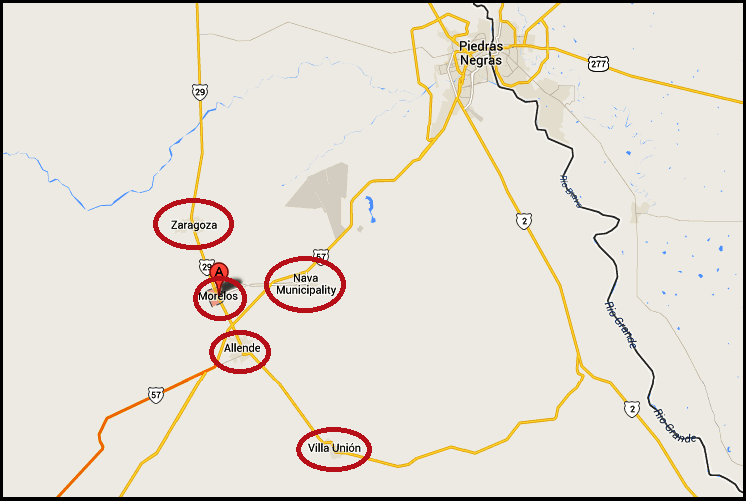 Unconfirmed reports from residents of Piedras Negras and “los cinco manantiales”, the towns of Allende, Morelos, Zaragoza, Villa Union and Nava, reveal that hundreds of victims have been abducted including one infant. In order to highlight their cruelty, many of the homes of the kidnapped victims were torched and destroyed on subsequent days by their abductors, presumed to be members of Los Zetas as this is on of their most closely held territories. In Allende, groups of Zetas unopposed by any authorities, were said to have prevented firemen from performing their duty. Up to 10 homes and ranch-houses ( actual number 43) were said to have been burned to the ground in Allende. A family by the name Villanueva ( *see note after this 2011 post) and said to be linked to organized crime was hit hard in Allende. Indeed, these abductions and arson were performed under the radar of the federal police, an army unit, state and municipal police who failed in their duty to protect Piedras Negras, “los cinco manantiales” and all their residents. On Thursday of this week, Eduardo Espinoza, a 31 year veteran of the Piedras Negras police force and the current chief of operations resigned his position, citing personal reasons. As for Gerardo Heath Sanchez, his only crime was of visiting the home of his friends Victor and Guillermo Cruz Saldua and their parents, Victor Cruz Requena and Brenda Saldua Dovalina. Victor Cruz Requena and Brenda Saldua Dovalina. The Cruz family and their guest Gerardo were abducted by gunmen during the wave of abductions that began last Friday. 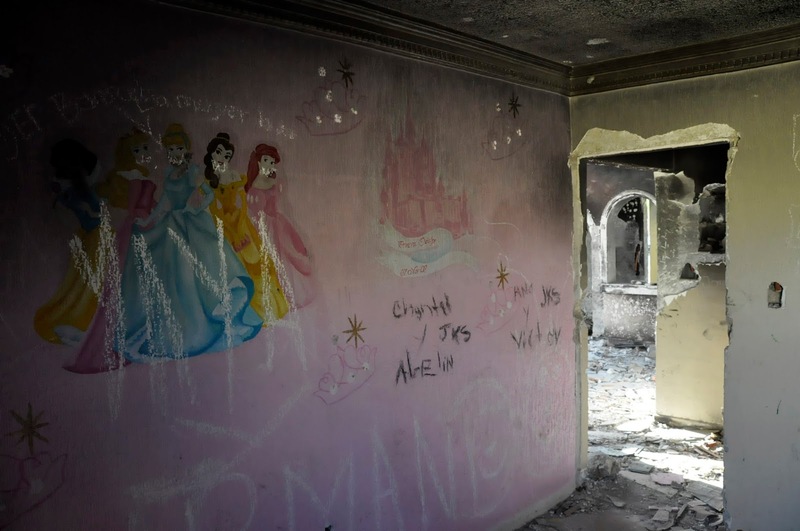 The home of the Cruz family was reportedly set ablaze soon after the abduction. It was known to local residents that the father, Victor Cruz, a local businessman, had links to organized crime. It is believed that the Cruz family was killed soon after the abduction and that the mother of Gerardo received a message saying that her son would be released within 72 hours but his whereabouts remain unknown. One remaining son of Victor Cruz reportedly escaped the abduction and may be in hiding along with other extended Cruz and Saldua family members in Eagle Pass, Texas, across the border from Piedras Negras. Another resident of Piedras, Edgar Avila age 37, was also reportedly an innocent bystander taken in the Friday abductions. His whereabouts remain unknown. The identities of two other businessmen with possible links to organized crime and targeted in the abductions is known. Rafael Gonzalez is one of these men. However he escaped being abducted but his father and a brother, Don Armando and Arnulfo or Armando junior, were both taken. Armando Castro, another of these tainted businessmen and co-owner of Lamburgueza, a popular hamburger eatery, also escaped abduction by being out of town when his home was invaded. 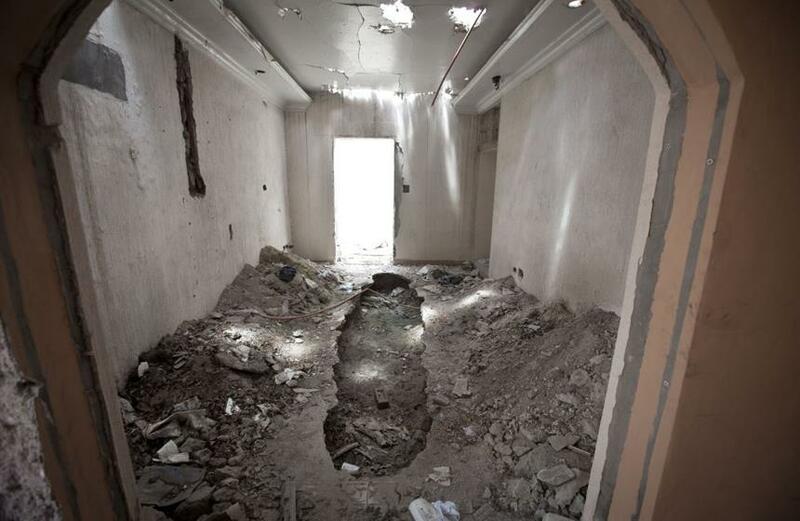 As his thwarted abductors were leaving, however, his residence was set on fire. The cause of these and the other abductions in northern Coahuila are unknown, but several educated guesses have been made by Piedras residents. Maybe there is a link to the recent confrontations and arrests in Saltillo and San Luis Potosi that have certainly disrupted the Los Zetas organization. Maybe an “ajuste de cuentas” or settling of accounts with compromised Zeta associates including several local businessmen involved in money laundering, providing cover for investments and clandestine businesses, was ordered by new people in the Zeta hierarchy. People under the slightest suspicion of being informants and others involved in the smuggling of arms may have also been targeted. It is understood that these business people offer their services in return for protection by Los Zetas but once in these criminal networks their lives are completely dependent on the whims of the plaza leaders. Such was the fate of Victor Cruz and his family. Another theory is that the abductions may be related to the defection of two important ex-Zetas from Saltillo, “el Parejas” and “el Guero Valero”, to the Gulf Cartel and the beginning of a Zeta-Gulf cartel conflict in Coahuila. These two men, extremely knowledgeable about Zeta operations in Coahuila, reportedly defected with their cells are thought to be responsible for heating up the Saltillo plaza and other areas of the state since March 4th, the day both men and their people raided Saltillo, causing mayhem and deaths as they drove up and down the main thoroughfares of the city at precisely the hour ex-Governor Humberto Moreira was being inaugurated in Queretaro as the new national president of the PRI political party. 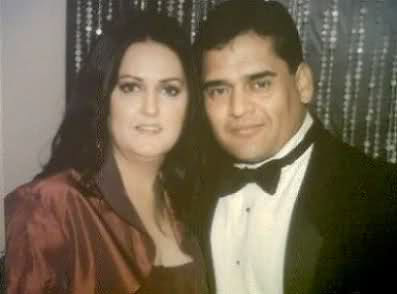 The current leader of the Piedras Negras plaza is reported to be Raul Lucio Hernandez Lechuga “el Lucky”, a Zeta Viejo or member of the initial corp of Zetas that defected from the Mexican Army and joined forces with the Gulf Cartel under Osiel Cardenas, now under custody in the U.S. prison system. Lucio Hernandez is reported to be the owner of several businesses using assumed names, among them the Black City mall and Mario’s Steakhouse. Adriana Monserrat Cardenas, an associate and lover of el Lucky, is reported to manage several of his business interests in Piedras Negras, along with other members of her family. Under Lucio Hernandez in the plaza hierarchy is Mario Alfonso “Poncho” Cuellar, also known as Coahuila’s “rey de la heroina”, an ex-officer with the now defunct Policia Federal de Caminos (federal transit police). Poncho Cuellar was initially recruited and mentored by the late Tony Tormenta and is now reported to be a close friend and associate of “El 40” Miguel Angel Trevino Morales, who is in the highest leadership circle of the Los Zetas cartel. and marijuana into the U.S. He assumed his current role after the murder of Norberto “Tammy” Aleman, who was known for his wide network of corrupt municipal, state and federal authorities. It was also believed that “Tammy” had bought off important U.S. Customs and Border Patrol officials in his sector of the border. 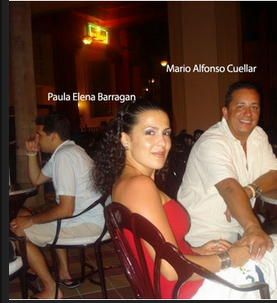 Cuellar is married to Paula Elena Barragan, a notary public and resident of Eagle Pass, Texas who also helps her husband with his business interests. Another high ranking member of the plaza hierarchy in Piedras Negras is the previously mentioned Celso Martinez, another close friend and associate of “el 40” Trevino Morales. 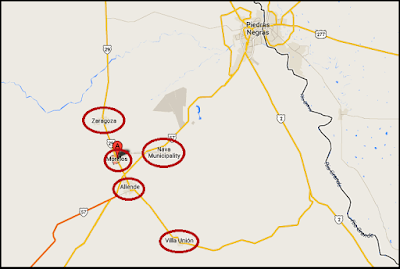 The Piedras Negras border area is just one of several areas in Coahuila that are heating up since the powerful ex-Governor left the state and appointed a caretaker Governor pending elections later this year. Further south, in the Monclova area, the city hall of the municipality of Santa Buenaventura was attacked by gunmen on Wednesday, March 23. The number of casualties, if any, was unreported. 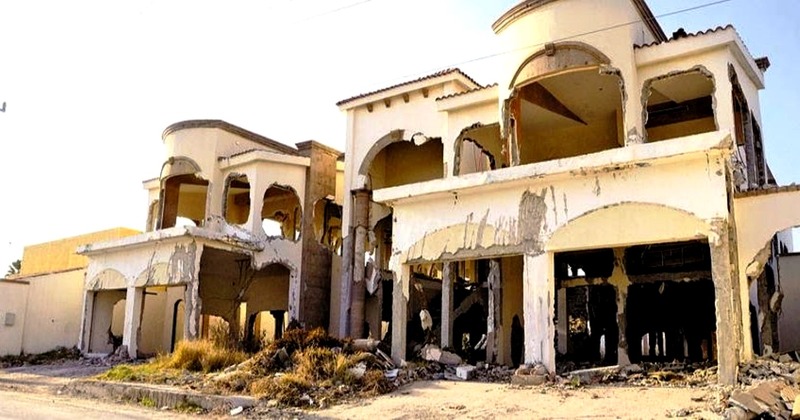 In the state capitol of Saltillo the Mexican army reported a clash Thursday, March 24, in the Satelite Norte neighborhood that resulted in the deaths of two gunmen and the capture of two others and various weapons. Also in Saltillo in the predawn hours of this past Sunday, a raid by Marine forces that included the use of armed helicopters resulted in various armed clashes within the city and the deaths of three gunmen. Also on Thursday, an ambush of federal police was reported in the mountainous municipality of Arteaga, located on federal highway 57 that runs from the U.S.-Mexico border to San Luis Potosi. One gunman was reported killed and three captured in that clash. This past Sunday, a raid by army troops on a safehouse in the municipality of Viesca, located in southern Coahuila, resulted in the deaths of five gunmen and the detention of three others, and the seizure of 18 rifles, 11 side arms, 9 grenades, 6 vehicles and an undetermined amount of crack cocaine and marijuana. *Epilogue Notes: The massacre became a point of testimony in the 2013 Austin Texas, Zetas Horse Racing/Money Laundering trial. BB reported from the courtroom the entire trial. A witness in the trial Hector Moreno Villanueva, of Piedras Negras, had previously given testimony regarding the massacre. Hector Moreno testified that in 2011, Miguel Treviño and his brother Omar, accused him along with Cuellar, of leaking information to the DEA. Fearing for their lives, Cuellar and Moreno absconded with five million Zeta dollars. Enraged, Miguel and Omar ordered them to return the money or else they would execute every member of their families, their associates and destroy their properties. 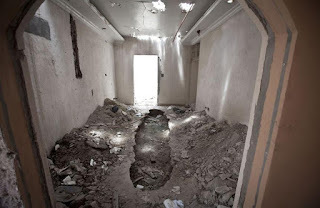 The men knew they were dead men either way, if caught by Zetas, so they men ignored the order, this initiated the reign of terror in “los cinco manantiales”, (five springs) in the northern part of Coahuila. Gardener asked what type of trouble. "Many deaths," "They even began to kill the families of Allende and Piedras Negras, and Muzquiz and Sabinas. And they wanted to kill me." Gardener said “I wasn’t sure why he came to the U.S. I anticipated he would say because he was afraid of being killed by Z40”. Gardener replied; “I will redirect that.” And the testimony ended there on the massacre. Convicted Piedras Negras cocaine drug trafficker, Mario Alfonso Cuellar testified, he depicted José Treviño as a “good man”, with a genuine love for quarter horses. Cuellar is a government witness. Cuellar said he learned about José Treviño, through his brother Oscar Omar Treviño. Omar described his brother as “hardworking” and “humble”, which is how Cuellar says he found the man to be. Cuellar was the liaison for the Zetas organization and horse racing; it was Cuellar that made Zeta introductions to key members and trainers in horse racing operations in Texas, California and New Mexico. Cuellar said that José resisted becoming involved in the operation, but finally gave in to the urging of his brothers in 2009, he would later “purchase” 'Tempting Dash' in 2010. Cuellar, aka "El Poncho", a trafficker in Piedras Negras, was living in Texas when he became a wanted man, prompting a move to Piedras Negras to avoid capture. He testified that in 2011 Zetas crossed between 500 and 800 kilos of cocaine per month. Cuellar testified drug proceeds were sent to Mexico in airtight plastic bags, which were concealed in the fuel tanks of vehicles. 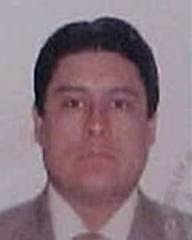 Fundsfrom the trafficking were handled by Cuellar, Hector Moreno was his associate. In a nutshell, stolen money and drugs belonging to Los Zetas. And the bulls-eye targeted two men, José Luis Garza Gaytan, and Hector Moreno. They had been operating with the Zetas since before the Zetas split with CDG. After the split, Zetas gave no option for key operators, they were mandated to stay with Zetas. Both were businessmen, Moreno and his family were very wealthy. They(along with Cuellar) became adept at trafficking massive amounts of Zeta drug into Texas. In Early March of 2011, the men broke from the Zetas by leaving Mexico for Texas, with product and millions of dollars. This caused the Zetas fury. The revenge was to find and kill any person of blood relation, business relation or anyone who just happened to be in the wrong place at a very wrong time. Children were not exempt. The criminality and greed of two scumbags, was the cause of the death of hundreds. Worse yet…..When the two escaped to Texas they reached out and cut deals with the United States Government and became protected witnesses. levantan a comerciante y familia…. If that is your real name, it was pretty dumb of you to post it. We have had our problems in Tamps. There is no escape from the terror. we left some went to the US others to other parts of Mexico. All of us have lost a family member. I lost my nephew to the Zetas. Why I don't know he was a good kid, not involed in drugs, they just killed him. Now it seems to be over, why I do not know. We are going back has family, but may never move back to our home in Tamps. Just stay in the US. I will miss my Country, but its time to move on for the future of my family. God Bless my homeland, and the wonderful people of Tamps. 4:27-You hit the nail on the head-Totally destroy their country for money.The only people that have protection are the cartels and the elites.Funny the cartels think THEY are the elites too. there was no protection the police, government all allowed this. zetas would not allow firetrucks in, same as PN. everyone at the command of z's. Diana Estrada keep ur head up !!!!! Thank you for this post. Outstanding. I recall when the killings happened, people were saying it was 40 after cuellar for going to the DEA and that hector and jose stole Zeta money and drug. later the people were proven right on all accounts. 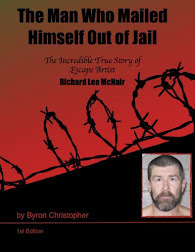 I remember the Mexican warrant for hector coming up in the trial for kidnapping and killings. anyone know what happened to that? If all this info is out there in the public, why isn't the government working hard to capture these people and working towards putting them away? If the wife of a plaza boss resides and works in Texas, why isn't she in a courthouse right now? All these stories about innocents is upsetting and I can't believe this is happening across the border. Lucky is in jail doing 40 years, if Trevino, Beltran, Taliban, Costilla sanchez, Tijuana brothers cant operate their cartel from prison, What make this witness think Lucky holds all this power. And nothing has changed in Mexico..not the Pope, or the little girl that gave her famous speech can change Mexico, or this story, or the 43 missing. I wonder if the FEds confiscated the stolen $$$$ and drugs so it couldn't be returned. Varios de mis amigos trabajaban en el abastecimiento de alimentos a los "cocineros" que trabajaban las 24 horas durante semanas por el rumbo de Guerrero Coah. destacaban personas como el Quekiro quien vive sin ningun problema por la Mundo Nuevo, el se hacia cargo de matar a los niños estrellandolos en las defensas de las camionetas ahi en ese lugar desaperecieron muchisimas personas muchos de los de la Mundo Nuevo estaban en ese trabajo. What the hell is La Mundo Nuevo?